CDW was named No. 137 on Forbes’ America’s Best Employers list. 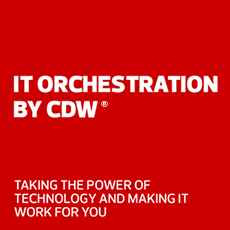 This is the fourth consecutive year that CDW has been named to the prestigious list, which recognizes the top 500 companies in the United States for employee satisfaction. Forbes and Statista, an online statistics provider, surveyed more than 30,000 U.S. employees, asking how likely they were to recommend their employer to someone else and their perception of other employers in their respective industries. Recognition as one of America’s Best Employers highlights CDW’s commitment to a coworker-centric culture. CDW understands that professional success is just as crucial as personal well-being, and therefore, it offers programs, tools and resources to help coworkers achieve professional goals, as well as personal physical, emotional and financial goals. For the full listing, please visit the Forbes website.